Smartphones Cubot Top 5 Cubot Phone Comparison – Whats the best Cubot Phone? What's the best Cubot Smartphone in 2019? and are Cubot Smartphones reliable? Cubot have released more than a few new smartphones over the last 6 months and that’s why we’ve created this ‘Top 5 – Cubot Guide‘. To help you decide if there’s a Cubot phone out there with your name on it. Nobody wants to buy a new smartphone only to find out it’s already a year old. Or worse, it’s slow, it’s poorly built and quite frankly a piece of crap. Since you’ve found this page, I know that you’re looking to grab yourself a new smartphone. And I know that you’re a savvy buyer who wants to reap the benefits of smaller mobile maker like Cubot. But can we trust the smaller mobile brands? Well, the simple answer is yes. Yes you can. Cubot has been working hard over the last 12 months to overhaul and improve their smartphone range. While always reliable, their 2017 smartphones lacked style compared to brands like UMiDigi. The 2019 range below, features high-end displays, sleek designs and best of all; keep those wallet-friendly Cubot prices. How do I get my hands-on a Cubot smartphone? In the past, you had to crawl eBay or shop overseas to buy a Cubot mobile. Now you can find them at your local Amazon, delivered in 24 hours. But the best deals are still from importing, if you have the patience to wait for delivery. So let’s get to it, here are The Best Cubot Smartphones Available in 2019. 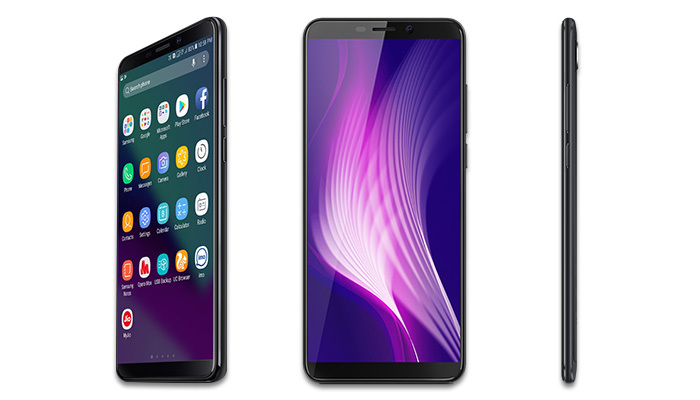 After this side-by-side comparison, we’ll cover each Cubot smartphone in detail with links to the latest offers and savings. Relegating the Cubot H1, H2 & H3 to smartphone graveyard is the Cubot Power. If that name sounds familiar? It’s because Ulefone originally used it for their own big battery smartphone range (Ulefone Power, Power 2, Power 3, Power 3S & Power 5). Although the Cubot Power is a battery-life focussed smartphone, it also comes with great performance. Featuring the excellent Helio P23 processor, coupled with 6GB of RAM and 128GB of storage; Cubot didn’t hold back on their latest & greatest phone. The enormous 6000mAh battery is long enough to last 2-3 days. Plus you can use in OTG mode to power your other gadgets. In your hand, the Cubot Power feels great at only 10mm thick and with thin bezels although it’s a fingerprint magnet. Finally onto the Full HD display which is bright, vibrant and has excellent viewing angles. With great power… comes great responsibility. The Cubot Power is the most expensive Cubot smartphone ever created which might put off some loyal fans. Overall though, it’s another great smartphone from Cubot that doesn’t compromise. The P20 is Cubot’s first smartphone to feature a top notch. Love it or hate it, it’s a vital step on the way to truly bezel-less smartphones. The huge 6.18″ display is again Full HD offering great viewing angles and colours that pop. While not one of MediaTek’s Helio range, the 8-core MT6750T (1.5GHz) processor is more than capable of running Android smoothly. It features a big.LITTLE architecture which in simple terms means; you get improved battery life. 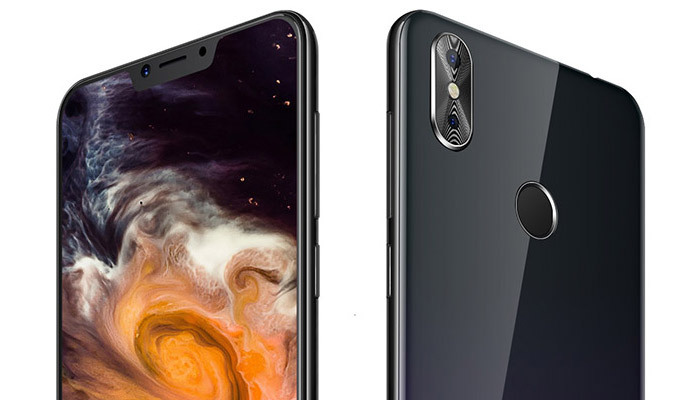 Using a slimmer screen design than the Cubot Power, the P20 comes with a 19:9 aspect ratio. This means that even at 6.18″ it’s still easily held in one hand. Related: The Cubot P20 made it into the Budget Section of the Best Bezel-less Smartphones. Check out the competition. Cubot has also managed to keep the P20 slim with a thickness of only 8.5mm. All while squeezing in an impressive 4000mAh battery that’s fast charge-ready. And wait there’s more. It’s impressively light at just 156 grams. 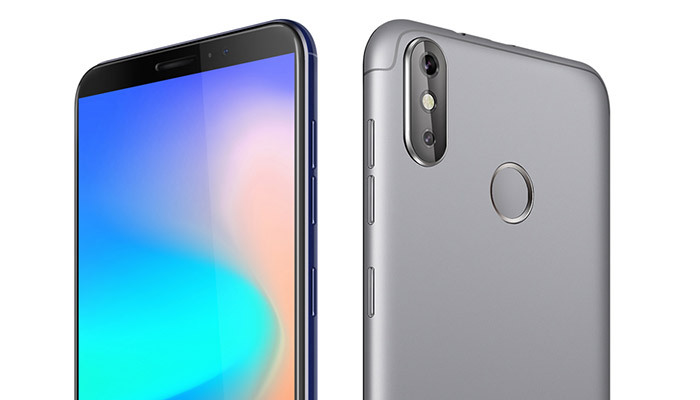 Other key features include Full UK 4G Support, 20MP Samsung camera, 13MP Selfie, 128GB expandable memory card slot and a bloatware-free version of Android 8. Get your Cubot P20 while it’s hot! 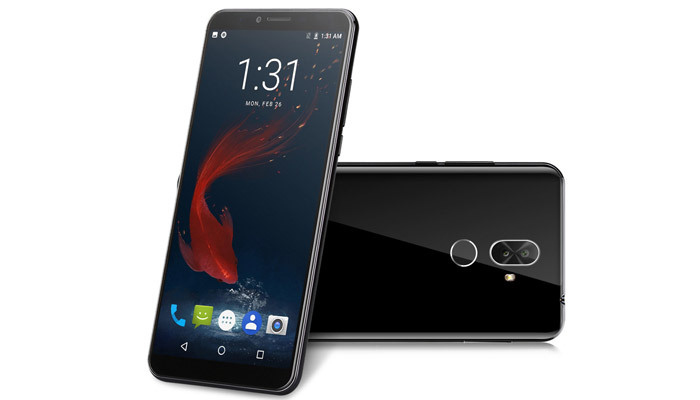 While the Cubot X18 Plus isn’t their latest smartphone (released on March 18), it still deserves a place in this Top 5 Cubot Smartphones article. Featuring an impressive 4000mAh battery, a large 6″ Full HD display, 4GB of RAM and 64GB’s of storage… it has a lot in common with the Cubot P20 above. It also stays slim at 8.5mm and weighs in at only 177 grams. Compared to the X18 released around 3 months earlier, the X18 Plus dominates in every way. One of Cubot’s most affordable smartphones is the Cubot Nova. Available now, it uses one of MediaTek’s power-efficient quad-core processors. You can think of the Nova as a ‘lite’ version of the Cubot X18 Plus above. 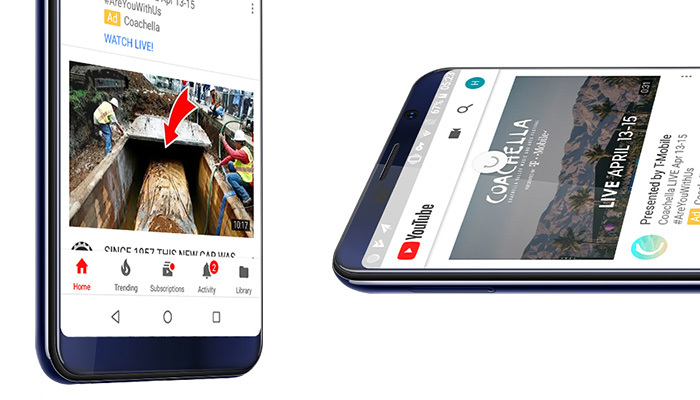 It comes with the same high screen-body-ratio and slim design, but is aimed at light users with less RAM and a slower CPU. Featuring Android 8.1 straight of the box with recent security updates, the Nova is a great choice. We see 16GB’s of onboard storage which can be expanded via the dedicated Micro-SD card port. This allows you to have 2 SIMs and a memory card, all active at the same time. The Cubot J3 & J3 Pro are both examples of what Cubot do best… Create super-budget smartphones! Don’t be put off straight away by the 1GB of RAM & 16GB’s of storage. Cubot has a trick up its sleeve. Both the J3 & J3 Pro run on Android Oreo – Go Edition. The Go Edition is Android’s super-lean version of Android created specifically for low powered phones. Even with 1GB, the J3 Pro offers a smooth Android experience. The Cubot Power J3 ‘Pro’ costs a little more but comes with 4G, a larger 5.5″ display, is slightly faster and has a larger 2800mAh battery. Now onto the best bit: the price. Importing the Cubot J3 will cost less than £50 and the Cubot J3 Pro less than £70. Bargain! While the original Cubot King Kong was more of a Kid Kong; with its budget hardware and small battery. The Cubot King Kong 3 means business! The battery has been upgraded to 6000mAh, and we now get 4GB RAM and 64GB of storage (expandable up to 128GB). It arrives pre-installed with Android 8.1 and recent security updates from Google. For more information check out our Cubot King Kong 3 – Review. The Helio P23 8-Core chip is more than enough to play the latest games and run multiple apps at once; stutter free. And to top it all off, we now have USB Type-C fast charging, dual-band WiFi and NFC for Android Payments. It’s missing a full HD display, opting instead for a 1440×720 Gorilla Glass 3 protected panel. 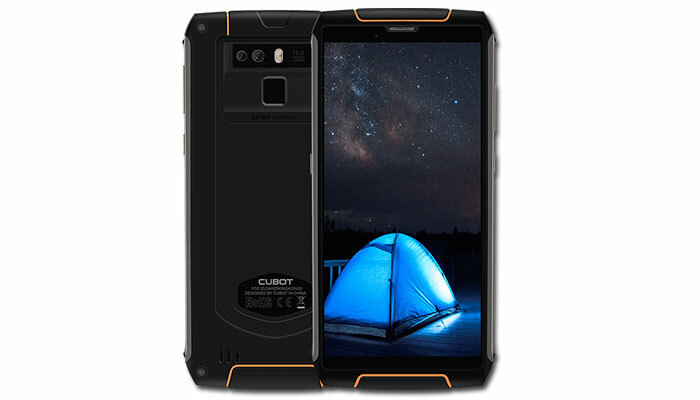 With lots of rugged Full HD phones available, the Cubot King Kong 3 is facing tough competition.